Enrico, Loane, Alicia and Giovanni are infants and children who were diagnosed with developmental delays and special needs. Raising children is certainly tough and complicated, particularly for parents who weren’t prepared for coping with different lifestyle and physical and mental difficulties it entails. 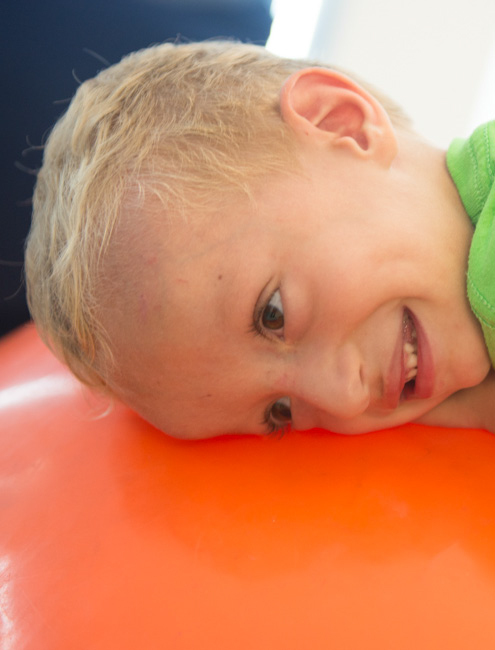 At First Step, we treat children with developmental delays and special needs. Under that umbrella definition, we address a broad spectrum of disorders,including: genetic syndromes, brain injuries, autism and communication disorders, motor delays and disorders, low muscle tone, epilepsy, severe eating disorders, and ADHD. From years of experience working with families, we know that when parents obtain information, tools, training, and support, it has a significant impact on their children’s development. It also helps improve their coping skills and the family dynamics. That’s why part of the First Step therapeutic process is an extensive learning process with the parents, as a key to creating change in their children’s development. At First Step, our motto is that every child can realize his or her potential. After years of working with many children, our conclusion is that even children with injuries, syndromes, and disorders can learn new functions, overcome their vulnerabilities, and create new learning pathways that lead to better performance. At First Step, we generate the correct environmental conditions for the child, and give him/her the appropriate professional training. Our team first focuses on identifying and exploring each child’s potential and opportunities. Then, through a personally tailored work-process, we strengthen and develop them. During the therapeutic process, we look beyond the child’s problem or syndrome. Step by step, the child relearns all the processes that he skipped, the absence of which has created (or reinforced) the developmental disorder. As a result, the child is able to dramatically decrease the gap between his/her chronological age and developmental situation. Learning processes via the First Step method are intensive, and involve the whole family. Dozens of families have gone through this process and outcomes clearly demonstrate their efforts to have been worthwhile. Each developmental stage leads to the next one, and provides its basis. For every developmental milestone in an infant’s development, there is an important ‘classroom’, where many aspects of neuro-sensory motor development are internalized and embedded. Returning there, relearning those milestones and constantly practicing them encourages the brain and nervous system to improve performance skills. Thus, a solid foundation for the child’s future learning capabilities is put in place. Working with the child on the process of relearning every skipped development stage – the key to creating change Relearning all the stages and instilling them in the brain is what enables behavioural change. Take the example of a six-year old whose developmental level is appropriate for the age of five months. Instead of saying – ‘At his chronological age, he should be walking, so we’ll teach him how to walk’. First Step focuses on the child’s actual developmental stage and builds from there. In this case, we begin working with skills appropriate for the developmental stage the child didn’t go through, such as lying on his tummy, rolling over, or sitting up unassisted. Step-by-step we move ahead until his developmental age catches up with his chronological age. For the child, this means that suddenly, he receives information relating to the place where he is; he can incorporate it and, more importantly, learn to respond to it. Another example illustrating the success of this approach is found in four-year old Jimmy who, before attending First Step, would only move forward by crawling on his bottom. During the process of work with him, the First Step team began by diagnosing and removing the environmental conditions that encouraged and sustained such movement. Following which, they began building the tools of successful movement from the beginning. First, by giving Jimmy the tools to crawl properly and then, guiding him to stand independently and lastly achieving the chronological age expectation of walking. Jimmy’s story is one of many successful life changing cases that the First Step method has been able to address. Even if born disabled, a child doesn’t necessarily remain restricted for lifetime. When given the right stimuli, the brain responds and can reorganise the network of its connections. Even if a certain part is damaged, another one can take its place, and replace old cells with new ones. Through learning, the network of connections in the brain can be reorganised, more sophisticated development capabilities can be developed and results achieved. 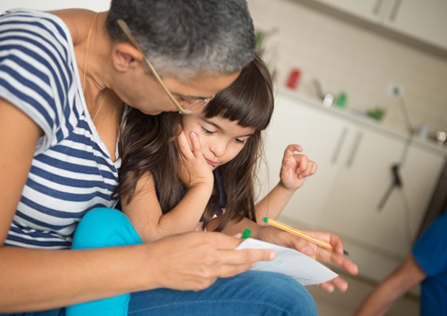 The child learns how to stop using the incorrect behaviours she adopted because of her disorder (and her parents learn how to change them) and how to create new functions, appropriate for the stage where she is. Creation of an appropriate developmental environment is imperative. The therapy must be integrated both in the cognitive-motoric functioning of the child and in the lifestyle, environment and approach of the family. Each individual factor relating to the current situation must be addressed and if necessary deconstructed and reconstructed. Parents are involved as partner therapists. Communication between all those involved in the child’s development must occur. The First Step method encourages the integration and incorporation of other disciplines that can enhance the experience for the child. The First Step method uses intensive processes. The therapeutic process must first neutralise the flawed functioning patterns that prevent children from learning. Next, it must replace them – in a short time-frame – with new, high-quality learned patterns. That’s why we work with the child and family intensively, with enhanced practice, repetition, and assimilation. The developmental environment generates the right stimuli for correct neuro-sensory motor learning. It comprises the parents, siblings, the extended family, the child’s friends, the nursery-school or school staff, and the home itself. Interacting with the correct learning environment is a vital and influential aspect of the child’s development, and a central part of the First Step team’s therapeutic thinking. Often the therapist does not approach the child directly in the therapy process, and instead works towards changing the parents’ behaviour, or family habits at home. We analyse the child’s daily life in the environment, in motor and behavioural terms, and guide towards changes. Take the example of a child who still isn’t walking and relies on his parents in order to move around within space. Here, we instruct those around him to stop being a dependable prop, and instead to become a dynamic prop, that forces him to cope with his balance system, to develop the right reflexes, and learn to rely on himself, not on ‘the crutches’ of those around him. His nuclear family and regular caregivers acquire different habits for use with the child, and the repetition and practice process becomes an integral part of daily actions and routine habits. When a child who is accustomed to being passive in the getting-dressed process – we guide parents so that a routine practice becomes a learning process carried out in the home environment, and is defined as a therapeutic goal. The First Step therapeutic method combines all developmental elements: motor, sensory, behavioural, emotional, social, and familial. It works with everyone together, and each one separately, using a wider peripheral perception of all systems involved. Our therapy language and therapeutic axis is the neuro-sensory motor language: through it, we can access wider aspects of development. Example: In one specific case, we identified that the source of a child’s speech difficulties lay in the fact that he had not learnt how to create eye contact with the environment. When there are eye contact problems, children find it hard to learn by imitation, because imitation requires organised, correct eye contact. We worked with him to develop the skill of reaching for an object, one of the first skills that requires eye contact. Once he had mastered this, we worked to develop skills allowing him to hold and eventually play with the object. The result achieved was apparent – a nervous system that is better organised, receptive to learning and able to support the on-going process of addressing his speech difficulties. The First Step method lets us identify and isolate each development factor individually, and to understand the cause and effect relationship. Parents are an integral part of the First Step therapeutic process. Their collaboration is essential for the success of the child’s therapy. And so after the child is diagnosed, we also diagnose various interactions, such as how the parents play with the child, their response to the child’s difficulties and degree of support. Observing the parents’ activity with a child reveals a lot about the child’s development dynamic. In the First Step method, parents are also therapeutic figures for the child, and so we train them on introducing therapeutic principles into everyday life and every shared activity with the child. An example of this aspect of work at First Step, was a child with the functional problem of being unable to hold food and eat it on her own. To impart those skills, we had to regress with her to the stage of eating with the hands. It transpired that for cultural reasons the parents did not let her eat using hands. Once they received an in-depth explanation why eating with the hands is an important developmental value, they changed their habits and behaviours, and created a different developmental environment for the child, through which she acquired the skills of holding and eating food independently. First Step’s extended local team always aspires to professional coordinated communication with everyone involved in caring for the child: the nanny, the kindergarten and even the way the home is run. This work method enables an overall professional perception, and of course provides parents with the strong confidence that they have an address for questions and consultations, during the therapeutic process, and between therapy sessions. Every First Step therapeutic process has a Process Manager – the liaising person who sees the whole picture. In addition to the therapeutic programme of First Step method experts, other professionals also form part of the extended team at First Step. They include physicians, neurologists, a psychologist, a physiotherapist, an occupational therapist and a speech therapist. At First Step we are strong believers in the group practice method, which provides professional added value and maximises the efficacy of therapy. The family receives the First Step questionnaire, fills it out and returns it, together with medical documents and a short recent video. After Shai Silberbusch and the First Step staff study the case, the decision is taken whether the First Step method can offer therapeutic help to the child and family. skeletal structure, the muscle system, and the child’s sensory interaction with the environment. The diagnostic emphasis is on the child’s potential, not only the disorder or problem. Usually, the diagnostic process starts with questions about the pregnancy and birth, developmental problems, medical diagnosis and so on. collected on a central server, and can be accessed and used in real-time by all staff-members. they acquired. The First Step team continues accompanying the family on an ongoing basis. and occupational therapists, and works jointly in synchronicity with everyone involved. any needed adjustments. Together, they decide, ask questions, and so on. At the end of the process, the family returns to routine life, equipped with an effective toolbox that provides them with developed arentaltherapeutic skills. capabilities and lead a life that’s better balanced alongside the disabilities. as it unfolds. Supervised meetings with other children take place at the Centre in Tel Aviv, creating normative social interactions. The family takes a time-out from routine life with its daily tasks, and can focus their attention on the intensive therapy process. The weather in Tel Aviv, sunny for much of the year, means that work goes on outside – on the beach and in playgrounds – so the process is an enjoyable one. Usually the process is conducted in English. If necessary, First Step’s team of interpreters in various languages are available to help: they join the process and help the family on language questions. If the family is unable to come to Tel Aviv, the process can be offered within the family home or at a First Step centre in Europe.